Want to learn how to bake a cake on the stove? Ask Zubaida Aapa. Want to know how to set your dining table to impress? Watch Kokab Khawaja. Need help with Chinese cooking? Shireen Anwar is your woman. 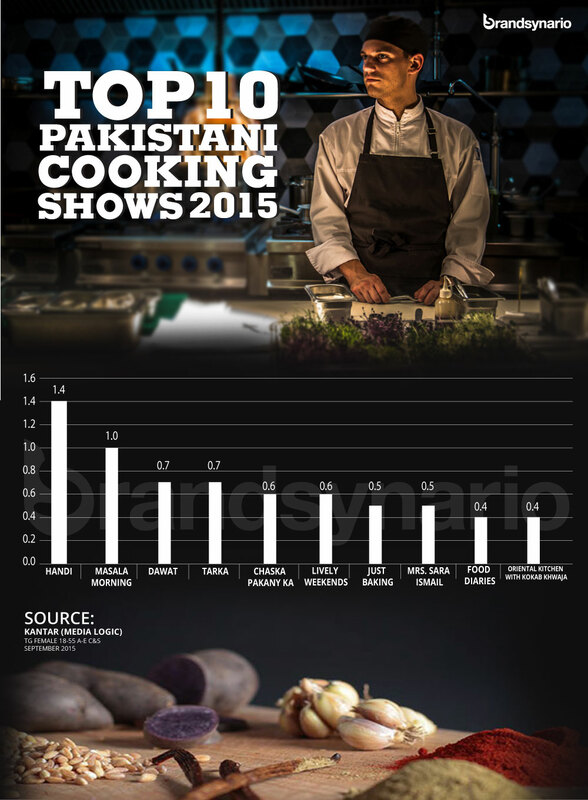 Local, Continental, Asian, Fusion – Pakistani home chefs have covered it all. 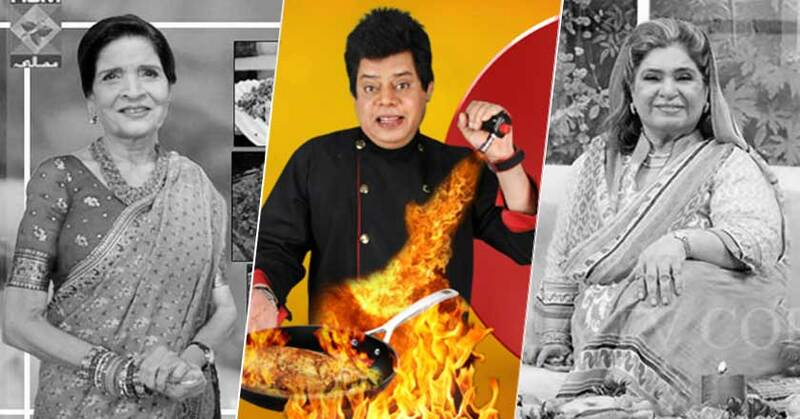 With the onslaught of cooking shows at the plethora of TV channels on air, these experts have taught us every trick there is, related to cooking and dining. But amongst these abundant number of chefs, only a few of these connoisseurs have been able to break the mold and teach us a little more than the usual karahi and handi. One of the most experienced Pakistani chefs, Zubaida Tariq, aka Zubaida Aapa has been around since decades when Unilever Pakistan first got her on board for advisory services. In spite of never having received professional training herself, the 70-year-old chef has hosted hundreds of cooking shows and written many cookbooks to her name. She is also known internationally for her totkas (DIY tips and tricks). Currently, she is part of the top-rated cooking show, Handi, on Masala TV, hosted by Abeel, aired Monday to Friday from 5 PM to 6 PM and on Saturday 9 AM to 10 AM. Yet another renowned name in the culinary world, Shireen Anwar stars in her own cooking show at Masala TV too. Shireen Anwar was one of the few women to hold cooking classes in Pakistan back in the 90s. Having learnt herself from cooking experts around the world, Anwar currently hosts the second highly rated cooking show Masala Mornings at Masala TV from Monday to Friday, 11 AM to 12:30 AM. One of the more eccentric chefs of Pakistan, Chef Gulzar is a relatively new addition to the culinary scene as compared to some other experienced female chefs. Currently, hosting the third best-rated cooking show, Dawat, at Masala TV, from Monday to Friday 1 PM to 2:30 PM, Chef Gulzar is known for his delicious traditional and modern recipes and pronounced personality. Having first appeared as a guest home chef at Indus TV’s cooking show in 2005, Rida Aftab has come a long way and has quickly established herself as one of the expert chefs of Pakistan. She is known for her simple and easy-to-cook recipes and the way she turns complicated dishes into recipes more manageable. Her current cooking show, Tarka, airs from Monday to Friday from 3 PM to 4 PM at Masala TV. Having gained from his popular cooking show, Cooking on a Budget, Chef Tahir Chaudhry is yet another one of the top chefs of Pakistan. He has worked in a number of renowned international restaurants and hotels and has internationally recognized culinary diplomas and Hotel Management degrees. His weekend cooking show, Chaska Pakany Ka, is currently rated the 5th best. It airs every Saturday and Sunday from 5 Pm to 6 30 PM at Masala TV. Once only known amongst her Parsi community, Zarnak Sidhwa is a established name in the cooking industry now. She started her catering business almost 8 years ago and is known for her scrumptious desserts. She knows how to best use innovative ingredients in daily recipes to add more deliciousness to the otherwise traditional dish. Currently, she appears as a cooking expert on the TV show, Food Diaries at Masala TV, Monday to Friday from 7 PM – 8 PM. Known for her beautiful novelty customized cakes and equally lip-smacking baked goodies, Saba Sharjeel is not only a TV show cooking expert but also, caters as a professional by the name of The Mad Chef. She recently did a recipe for Nestle Kitchen and is more famously known for her cooking show at Masala TV, Just Baking. Kokab Khawaja kick-started her cooking career back in the 90s with her own TV cooking show and became a role model for many women of age. One of the most experienced Pakistani chef to date, Khawaja is not only known for her cooking skills but also has a flair for exquisite table setting and flower decorations. She is also known for serving humanity as a Reiki healer. Currently, audiences can see her whipping up a variety of cuisines at Oriental Kitchen, on Masala TV, Monday to Friday, from 4 PM – 4:30 PM.